The 2016 Ford Galaxy looks larger than the outgoing model. It also features a trapezoidal front grille, sweptback headlights and a sloping roofline. Ford’s new Galaxy is riding on a revised version of the company’s CD4 platform and its engines will reportedly be carried over from the latest Mondeo, so expect a 1.5-litre and a 2.0-litre EcoBoost petrol engines along with a 2.0-litre TDCi diesel unit. The drive will likely go to the front wheels. It’s not clear if a hybrid version will be offered as well. Those who seek a money-saving car with third-row seats will definitely want to take a look at the upcoming Galaxy. 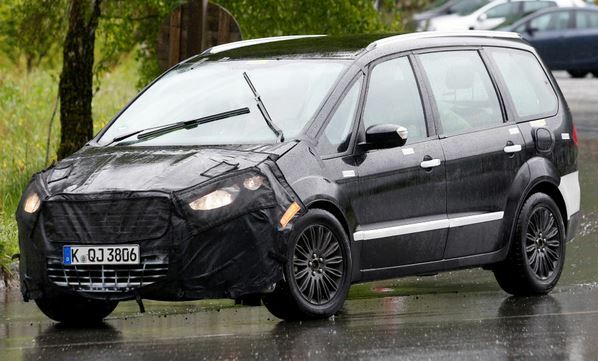 The 2016 Ford Galaxy will go on sale late in Europe in 2015, after making a public appearance. 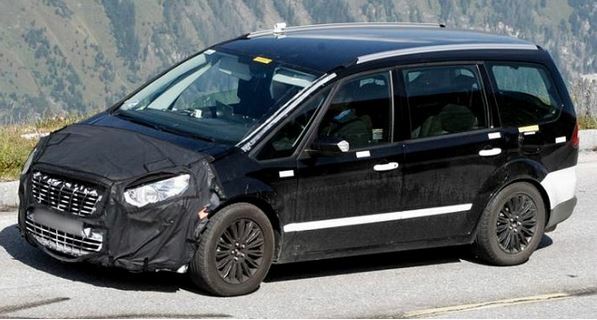 We still don’t know if the minivan will be sold in the United States. 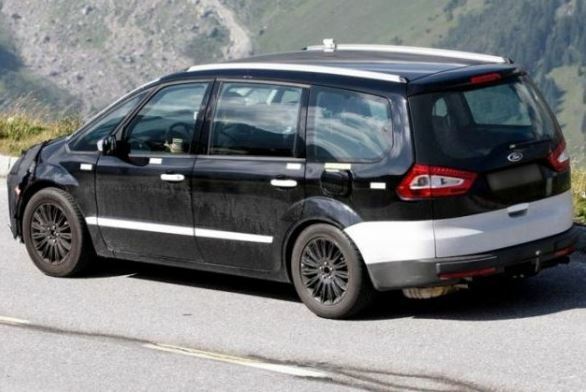 This entry was posted in Ford, Spy Photos and tagged Ford, Ford Galaxy, Galaxy, Minivan. Bookmark the permalink.